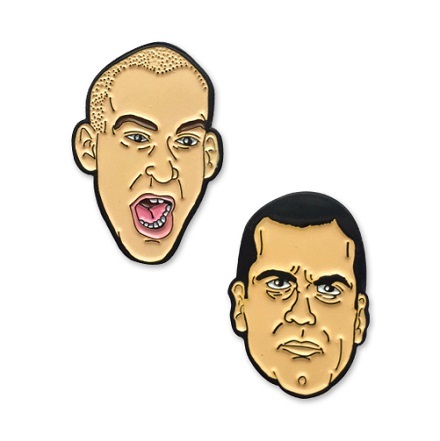 Sad Truth plays homage to music icons Ian Mackaye and Henry Rollins with the "Replacement Dads" pin pack. Illustrated by Tristan Douglas and immortalized in nickel plating, they'll bring instant punk rock credibility to any battle vest. You can find it along with other great pins and patches in Sad Truth Supply's online shop.